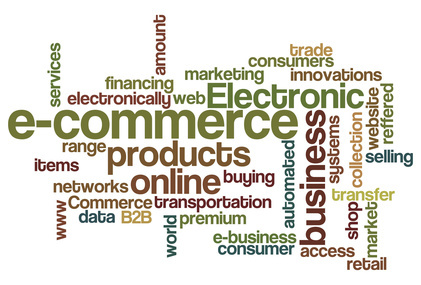 Electronic commerce is the process of completing a transaction over an entirely digital platform like the internet. 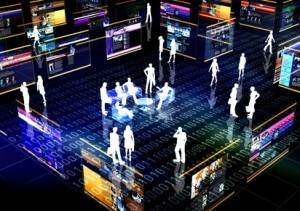 There are many e-commerce trends 2011 has in store. Like any other market, the world of internet buying and selling expands, shrinks and expands again. It’s in constant evolving periods, but it’s generally always very fruitful. Trends in electronic market purchases that customers make help people to decide what exactly it is that they need to sell. There are several factors that are beginning to gain traction as the year unfolds. Time will tell if they’ll stick or get stale. One of the first major e-commerce trends is what’s called “social commerce”. Social networking websites allow you to connect with your friends over long distances in a virtual environment, allowing you to discuss likes and dislikes, comment on pictures and so on. However, with social shopping, you and your friends can literally “group shop” by recommending items that you prefer. You’ll also be able to actually send them a product, although it’s ultimately up to them if they want to purchase it or not. Second e-commerce trends is something that’s up and coming in the market world of the internet is the “come to you” approach. Instead of you having to click on a website, they’re coming to you. One of the ways that this is accomplished is through cookie implanting. If you’ve ever visited a certain cell phone website and suddenly noticed ads for that site following you all over the internet, you’ve experienced what’s called “bringing the market to the customer”. Third, payment over the internet has become substantially easier. Forget the days of money orders or mailing checks. Today, all you have to do to make a purchase is sign into a website, give them your credit card number and have them instantly charge your account the second you check out. It literally takes a few seconds, and there’s no paper involved. Credit card institutions that specifically specialize in internet transactions abound. It’s easy and fast. Coming e-commerce trend number four consists of “mobile shopping”. There are few people without cell phones these days, and those who do have them can easily access the worldwide web through their mobile network. Mobile programs and shopping applications have become extremely popular. Phones have been changed to accommodate shopping online, and many people are taking advantage of this opportunity. Number five e-commerce trends sees customer service taking a revolutionary turn for the better. When you shop physically, you oftentimes have to wait a very long time before you can get an employee to see to your needs. However, online this is not the case. Technology allows customer service workers to be available to meet the needs of their customers at all hours of the day. Live streaming chat rooms are becoming more and more popular, and there are many people working at these jobs so that you’re served instantly. It gives a whole new meaning to the word “instant customer service”. With so many ways of many purchases on the internet, not every single idea can survive. The coming year will decide who makes the final cut and who is destined to be a very short-lived fad of the moment.